Apple has never been a company to talk at length to the public. The Silicon Valley-based computer design firm has always prided itself on keeping projects under wraps, ensuring that any upcoming product launch would be met with a certain element on mystery and surprise. While it may seem as if some tidbits about Apple’s recent iPhone 5 and iPad Mini devices had leaked out prematurely, one this is for sure: When Apple wants you to know something, not guess or speculate, Apple will tell you. This is the mantra Apple CEO Tim Cook has taken on recently, as the 52-year-old chief divulged in a whopping 11-page interview with Bloomberg Businessweek. If that wasn’t enough, Cook will also appear in his first on-air interview tonight via NBC News’ Rock Center With Brian Williams. The end of 2012 marks the closure of Cook’s first full calendar year as CEO of Apple, making him what some have called the most powerful man in business. Here’s a snapshot of interesting quotes from Cook’s recent conversations and what they tell us about Apple. In the interview with Bloomberg, Cook couldn’t stress his love for Apple enough. What makes it so intriguing and special to him, he said, is that people care about the company just as much as they care about the product. The CEO also reminisced about his first day at Apple, which began with him pushing through a swarm of protesters picketing outside of Apple’s offices after Jobs had decided to axe the Newton device back in the early 90s. 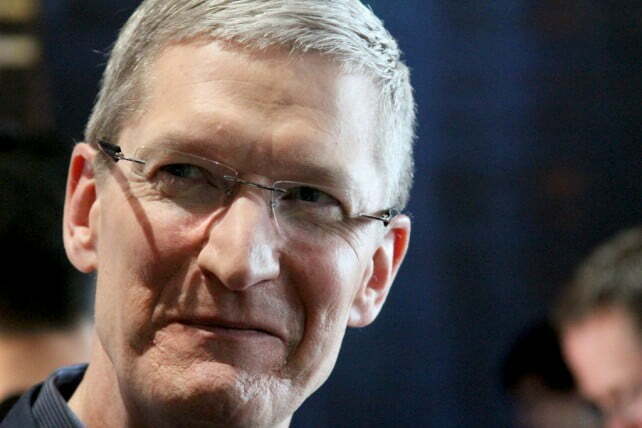 Cook has made it clear that he plans to uphold the principles and standards established by Steve Jobs. Ironically enough, while stuck amidst ongoing patent debacles with Samsung, Cook has outwardly admitted that he wants others to copy Apple. Apple commercialized the tablet trend when it launched its first-generation iPad back in 2010, and has remained dominant in that industry ever since. It’s safe to assume this is the type of “copying” Cook is referring to – sparking a trend that catches like wildfire throughout the tech industry. The idea of an Apple TV set has been highly-rumored for quite some time, and on NBC Cook acknowledged that it’s a venture Apple is looking into. We mentioned earlier that public addresses and quotes from Apple are a rare occurrence, but even more rare is a public apology. When Apple Maps launched with iOS 6 back in September, its was received with such criticism that Tim Cook issued an apology to users on Apple’s official website. Users complained that Apple’s first self-branded navigation app lacked thorough public transportation directions and labeled locations inaccurately. The company recently fired Richard Williamson, who was in charge of spearheading the troubled app.